A new agreement to ‘strengthen migrant rights’ doesn’t explain who qualifies. Early next week, the governments of Canada, the UK, Germany, France, and many others will gather in Morocco to ratify a comprehensive, historic UN framework called the Global Compact for Migration (GCM). 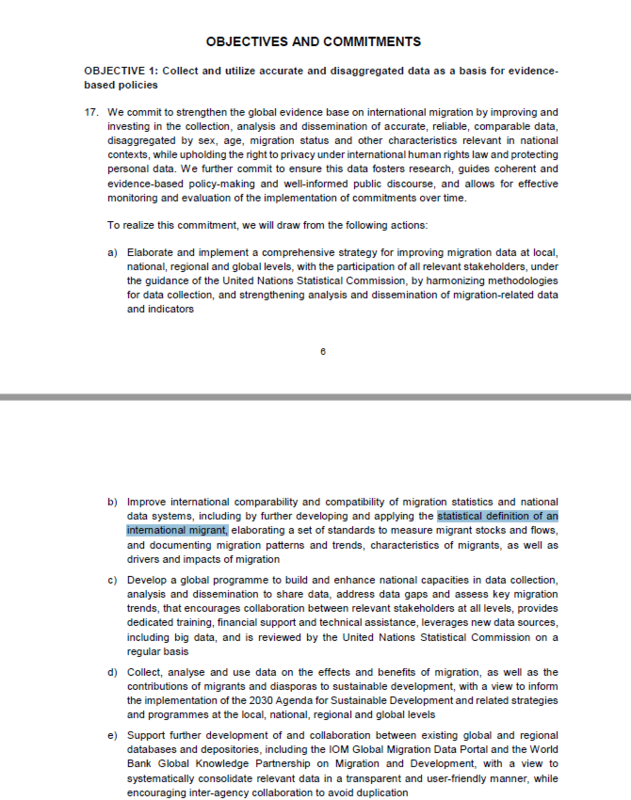 There are several reasons to be concerned about this 34-page milestone, which seeks to “strengthen migrant rights.” Let’s start with the most obvious: it fails to define who is and is not a migrant. The agreement enumerates 23 objectives, each of which is accompanied by an average of eight sub-paragraphs (187 in total). Yet who specifically qualifies is never spelled out. When discussing the importance of good data, a reference is made to “the statistical definition of an international migrant.” That’s it. Nothing more is added or explained. How can this be? Excuse me? We’re signing up even though there’s no agreement about basic terminology? ‘Migration’ is often understood to imply a voluntary process, for example, someone who crosses a border in search of better economic opportunities. Migrants are people who make choices about when to leave and where to go, even though these choices are sometime extremely constrained. In other words: the entire conversation is a minefield. Let’s be serious. This about-to-be-ratified UN pact contains numerous sentences that begin with “We commit to…” followed shortly thereafter by words such as “guarantee” and “ensure.” It is irresponsible to sign this document without delineating to whom it applies and to whom it doesn’t. Many countries have a track record of compassion and generosity toward refugees – of welcoming individuals genuinely in trouble. But this new UN pact isn’t about helping refugees. Instead, it appears to be an utterly naive, open invitation for people born elsewhere to 1) eschew normal immigration channels, 2) just show up at our borders, and 3) start demanding a very long list of services and protections. EDIT: An earlier version of this post began with: “This coming weekend, the governments of Canada…” I’ve since changed this to “Early next week…” My apologies for the error. November 10-11 fell on a weekend, but December 10-11 are a Monday and a Tuesday. This entry was posted on December 3, 2018 by Donna Laframboise in ethical & philosophical and tagged immigration, United Nations.